Edward Benson-Cooper; Chiropractor, District Health Board Member, public speaker, entrepreneur, health and fitness nut. Edward was born and raised on Auckland's North Shore. While living in New Zealand, Edward gained a strong appreciation for health, wellness and family. It is this foundation which led Edward to the path of Chiropractic, where he studied and graduated from the New Zealand College of Chiropractic. ​Possessing a wide range of techniques to restore normal motion and alignment to the spine, Edward focuses on the individual, working to restore health and function to optimal condition. Edward continued to gain a wealth of clinical expertise and knowledge from many leaders in his profession, both internationally and within New Zealand and now runs his own practice in Milford, Auckland, New Zealand. At 28 years of age, Edward was elected onto the Waitemata District Health Board, making him the youngest (current) serving member. The Waitemata District Health Board is in a phase of significant growth and transformation. It covers a large geographical area and is the largest and fastest growing area in the country. As the Waitemata continues to grow, there is a need for strong yet smart representation, capable of bridging the gap between generations and championing the voice of the community to produce the best possible outcomes. *As part of his Board work, Edward also serves as a trustee for the Wilson Home Trust, a board member of Health Links North and a committee member for the Community & Public Health and Disability Support Advisory Committees (CPHAC/DiSAC). 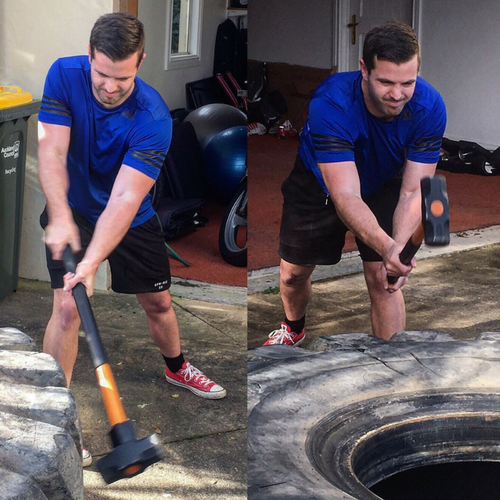 Along with being an active Health Professional and serving on the Waitemata District Health Board, Edward holds a strong interest in sports, exercise and nutrition, with a particular focus in strength and functional training. Strength and functional training, means focusing on heavy compound movements (squats, deadlifts, bench press) while maintaining proper body function. Eg maintaining strength ratios between muscles groups, preserving full range of motion with joints and the ability to be able to do at least 10 pull-ups.